He received his Bachelors Degree from Cal State Northridge and Doctor of Dental Surgery in 1999 from Meharry Medical in Tennessee. Since graduation, he entered private practice swith the commitment of providing the best care for his patients. 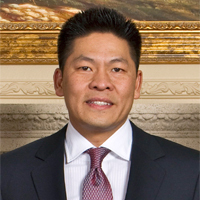 With the commitment of excellence, Dr. Phan continues to stay current in his field through advance training in Implantology, Aesthetic Restorations, Full Mouth Reconstruction, and Dental Occlusion. He has studied and trained under leading educators from UCLA and USC giving him the opportunity to practice with the latest and most advanced technology and materials available.